This is a guest post written by Kelsey Reaves, currently residing in Austin (Texas), where she pursues her love of all things home design by writing for Modernize.com. In her free time, she nurtures her passion for traveling by exploring new cities and binge watching Anthony Bourdain. When I left last August for a 53 day backpacking trip throughout Southeast Asia, I had certain expectations about what I was to encounter in the upcoming months. I expected to see temples, meet new people, experience new cultures, but I also didn’t prepare myself for the moments of my trip that did not exactly live up to my expectations. As I’m transitioning back into the comforts of my home in the United States, I decided to reflect on those expectations I had vs. the reality of what actually happened. 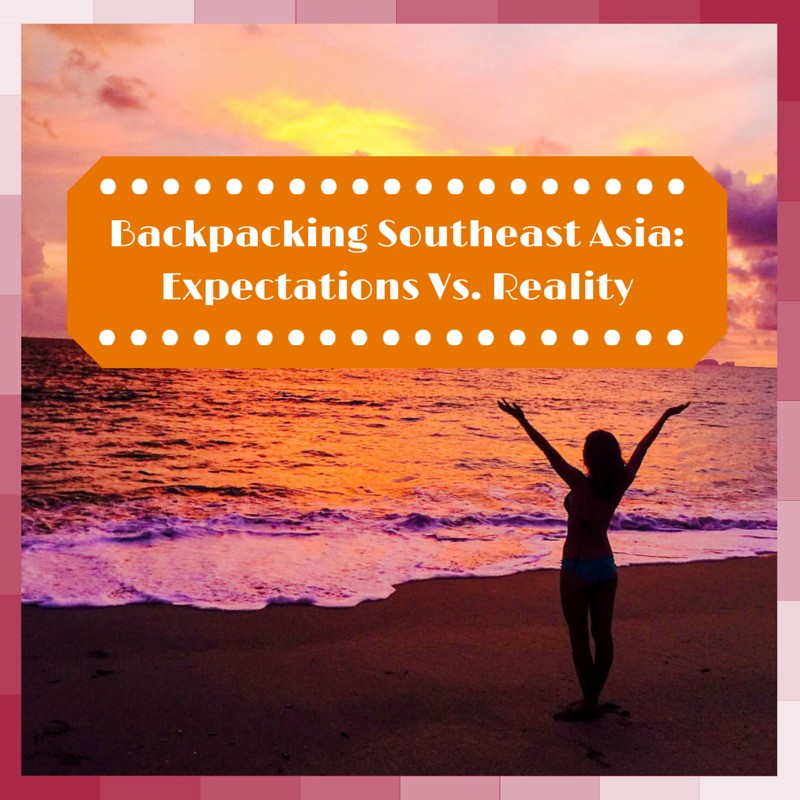 Expectation #1: Southeast Asia would be like a step back in time, an area relatively untouched by tourists. Reality: Having spent the previous summer in touristy spots throughout Europe, my initial thought was that my first destination of Thailand, would be a land showered in gold Buddhas, accentuated amongst monks draped in red, unconsumed by western culture. As I landed in Bangkok and hopped on the nearest tuk tuk, I was taken to the center of the city where I shocked to see just how many tourists there were. In all honestly, I had expected a healthy dappling of tourists, but not to this level. The temples that I visited in the city center, seemed to have lost a bit of the peace and serenity I was expecting to experience based on the absurd number selfie sticks and tourist groups I had to dodge, just to catch a glimpse of these immaculate buildings. After being somewhat disappointed, I realized that in certain places, this was something I was just going to have to accept. I like to think of it as a positive thing, because in the end, it made me step out of my comfort zone and talk to the locals to find out where they go and where the real action happens, without many tourists knowing about it. Reality: Before I left, I had to give my parents a full on presentation of where I was going and when, literally down to the day and time. Once I arrived and began to meander along the trail depicted in my itinerary, I sensed most people did not have a plan. Most travelers just had a rough itinerary of places they wanted to go and they would simply let the rest unfold. After 2 weeks of following a strict outline, we decided to forget it and go with the flow. 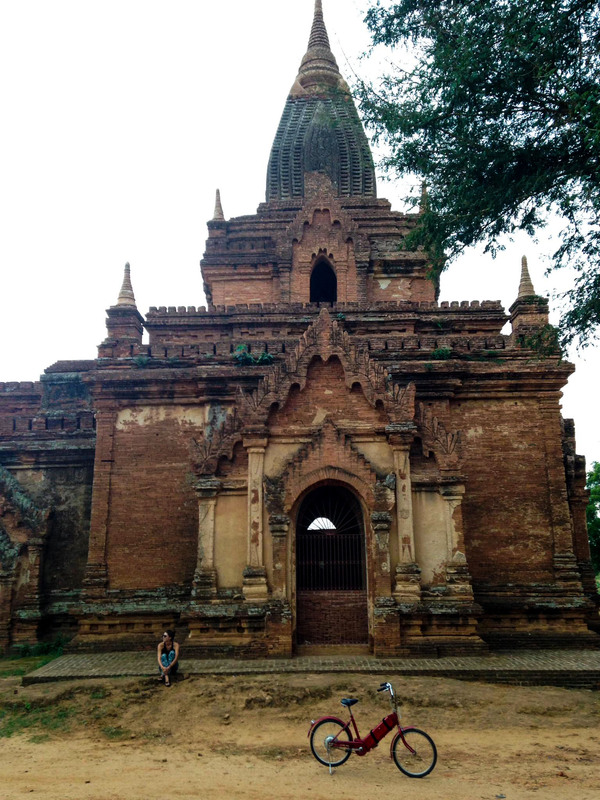 I couldn’t have been happier by that decision, because by letting go, we were able to experience things we had no idea was even possible, like flying to Myanmar and traveling to the relatively untouched temples of Bagan. Reality: When I was southern Vietnam, we had the option of taking a 2-day motorcycle trip from Da Lat to Nha Trang. It was $70/day, a total of about $160 (plus tip for our drivers) and it was hard for me to justify this, seeing as I was able to live comfortably on about $20/day. After much convincing, my friend and I finally decided to do the trip, and I am so happy we did. 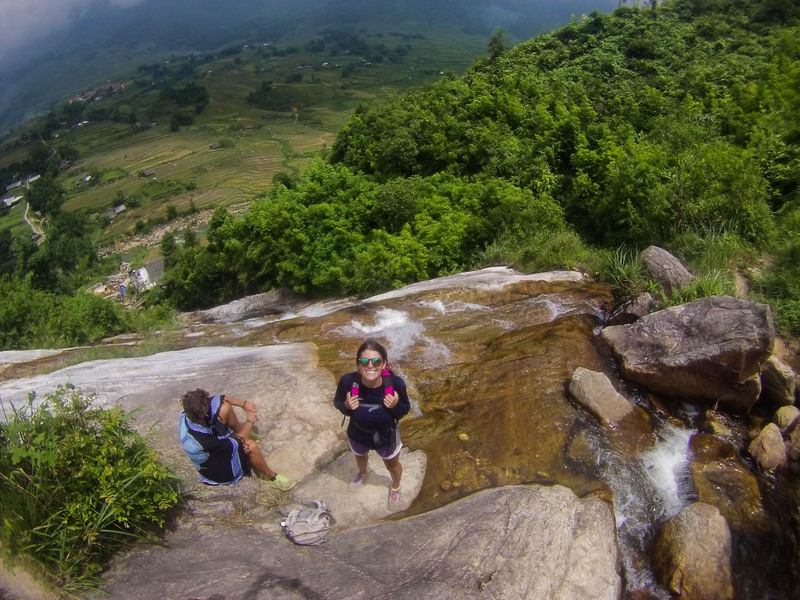 Our tour guides took us to remote villages where we gave candy to the children, hiked to hidden waterfalls, explored elephant sanctuaries and biked through the back roads of the Vietnamese jungle. What I learned from this experience is that you can’t be afraid to spend money on something you really want to do. It’s important to remember that you may only be there once and not have an opportunity to go back, so spend the money. It’ll be worth it in the end. Somewhere in the outskirts of Da Lat, Vietnam. Reality: This was one of the biggest realizations I had while traveling: just because you have the freedom to do something, doesn’t mean you should necessarily do it. That being said, just because you are allowed to rent a motorbike in Koh Tao, Thailand even thought you’ve never ridden a motorbike, doesn’t mean you should. It could save you roughly $3,000 in motorbike damages. Trust me. Reality: I still remember my mom haggling me to get the shots and medication I needed before I left for my trip. If I hadn’t listened to my mom, I’m 100% I would’ve returned home with at the very minimum Malaria. Traveling to a new place is exciting, but I also had to realize that it is not something I should compromise my health for. Getting sick from the food, and even water can be a very common thing, so it’s imperative to do your research beforehand and take note of what you are putting into your body and if you need any medications before traveling. You are not invincible, even though we all think we are. Expectation #6: This trip would be a one time thing, a sort of letting loose of the “travel bug” I caught. Reality: When I first embarked on this trip, I remember the comments from my friends and family like, “go out and find yourself, before you have to settle down and find a job.” I realized as I boarded my flight home to Arizona, that this would not be a one time thing, but something I will continue to do throughout the rest of my life. It’s not like you travel once, find out who you are, then settle down and find a job and finish out the rest of your days this way. I am so proud to say that backpacking, experiencing new cultures and meeting new people is one of the things I am most passionate about and will continue to do. If anything, this trip was merely the start to my discovery of the world around me and I can’t wait to see what adventures I go on next. Did you encounter some disappointments during your travels ? Have you experienced times when expectations didn’t match reality ? I couldn’t agree more with you. I lived and backpacked Asia and all you said is completely true! I hope you enjoyed you time backpacking in Asia! I’m glad you can relate to this article! What a lovely post! When I saw the title I thought you went on a trip to Asia. That would be amazing! I also have that in mind. Very good and honest post. Thailand is soooo touristy now, which is why when I returned recently, I didn’t want to go somewhere I had already seen, as I think it would have been disappointing. I went backpacking for 18 months, so definitely found the same things. After a while, I did learn to just go with the flow and I definitely didn’t plan anything in advance – it was definitely the best way. Yes going to Bangkok is not going back on time, it’s like going ahead of time! But you can definitely find that in rural Thailand, I went to Pitchett a few weeks ago and it’s very rural, pretty and quite. Surrounded by rice plantations. Very different experience from Bangkok! I’ve never been to Thailand, but I’m sure the countryside is really different from the big city. I would love to visit ! I remember feeling the same way when I first went to Bangkok, being surprised at just how busy and crowded it was and quite seedy in some places. Slightly to the serene Buddhist temples and gardens I had imagined but a fascinating place nonetheless. Great guest post! I really enjoyed it! I can recognise myself in many of these expectations, and the realities. It is never as we expect, right? Selfie sticks are being used everywhere in any touristic places nowadays….actually there are many places in South East Asia that “untouched” by regular tourists – places where I usually do my scuba diving in coral triangle area 😀 But Thailand is an extremely popular country for young travelers so perhaps wherever you go, it could be quite touristic especially during schools holidays. I think as long as you go a bit off the beaten tracks, you can still find some “untouched” places. It’s valid everywhere in the world, in Belgium as well. There are some places absolutely beautiful and quiet, you just have to know them. Tourists have a terrible habit of romanticizing people living in poverty and calling it authentic. I live in Viet Nam and last year my organization was granted funding to build a concrete bridge in a village at the southernmost tip of the Mekong Delta and I went down to review the works. I showed a friend a picture of the new concrete bridge behind the old bridge made from wood. They thought that the new bridge was very ugly and lamented that the village didn’t look as authentic as it did before. But the reason that we built a bridge out of concrete was that the people in the village asked for it, because the traditionally built bridges washed away almost every wet season and the village had to use boats get across the waterway until the bridge was rebuilt. The bridges collapsing added an hour to what was usually a 15 minute journey. It was harder for children to get to school, for people to get to work, for farmers to sell their crops and the elderly were stuck at home. That new concrete bridge was ugly, but it isn’t there for a photo opportunity, it is there to make life a little easier for people. LOVE this post. Sharing your honest reactions to travel and what you have learned provided intriguing reading. Perhaps I was most delighted to read that you see that travel will be a life long love and that you have caught the bug so to speak. What a lovely guest post from Kelsey. Great to hear she had a great time going around SEA. I’ve never done the backpacking adventure there, but perhaps in a few years time. I’ve always had the luxury of traveling around by car in Malaysia, Singapore and Indonesia. The times when I’ve been most disappointed is going along to the big city centres as recommended by locals, and not off the beaten track 🙁 This was especially the case in Jakarta, Indonesia. Jakarta certainly has a modernised city centre, but compared to other Asian metropolises, it looks like a developing city and I think the locals are aware of it, and aware of the fact that the crime rate is high in their city. Which was probably why they pushed me to go to shopping centres where there are security guards and everything :/ I don’t know if you had locals provide you such recommendations when you’re traveling, would be interesting to hear. I understand about Jakarta, it makes sense. It’s probably why they recommended you the place. I’ve never made it to Indonesia, but I would love to see the Komodo dragons. The only place equal or bigger than my dreams was Machu Picchu. But in the rest of my experience I could be mine Kelsey’s words. I had a two week holiday in British Columbia about 10 years ago, back at work, one of the women I worked with told me to cherish the memories of that once in a life time trip. Once in a life time?! No freakin’ way! SE Asia is definitely more crazy, more populated and more polluted than you could expect but it’s a whirlwind of wonderful! And it’s an addicting place, I’ve backpacked around it a couple of times now, searching out new stuff to see and experience, and it never fails to satisfy the wanderer in me. You are welcome! As a veggie, it had to be more than the street food as it’s not all veg friendly! Are you on Twitter Gin? I shared the post but couldn’t tag you in it! No.. I’m not on Twitter… I know this is bad… I’ll create an account soon, it could be useful ! Yes Gin, Twitter is very useful and great for travellers! See you on there soon! And how do you find people on twitter ? On the blogs mostly, most bloggers have a twitter follow button. I also get involved in twitter travel chats then that’s a great way to meet people on there. Twitter recommends people too. You can search blog names/people names/brands etc too. Grea post! I found it super helpful as I prepare to head to Thailand in the September! This post was great, i can definitely relate to this as my expectations are never what i experience, but i have not let bad experiences keep me from wanting to keep travelling and exploring new places! That’s a good way of seeing things ! I’m glad you didn’t let your expectations ruined your travels. What was the thing that surprise you the most during one of your travel ? I have definitely had many eye opening experiences throughtout my travels but i think the most shocking thing was seeing the way many people in underdeveloped countrys live it makes me grateful for everything i have back in my home country. Yes, I can understand the cultural shock. and most of the time, these people who live with barely nothing are very generous. Backpacking – seems common to catch the travel bug from that!! I don’t backpack any more, but I caught the bug then and have never managed to shake it off!! Great post and great insight. What was your first backpacking trip Joy ? Student backpacking around Europe, my first taste of sleeping on trains and hostels. Unfortunately not that exciting nowadays, although for this Irish girl who had never been out of the country it was something special!! Its such a well organised and concise insight into your experience. Am so glad you did go off plan. When travelling through Afghanistan in the 70s we decided we didn’t have enough money to visit the Great Buddha of Bamian. I think now I am still travelling but in a different sort of way. Hope you can continue too. I really like your honesty in posting your expectations vs. reality experience. 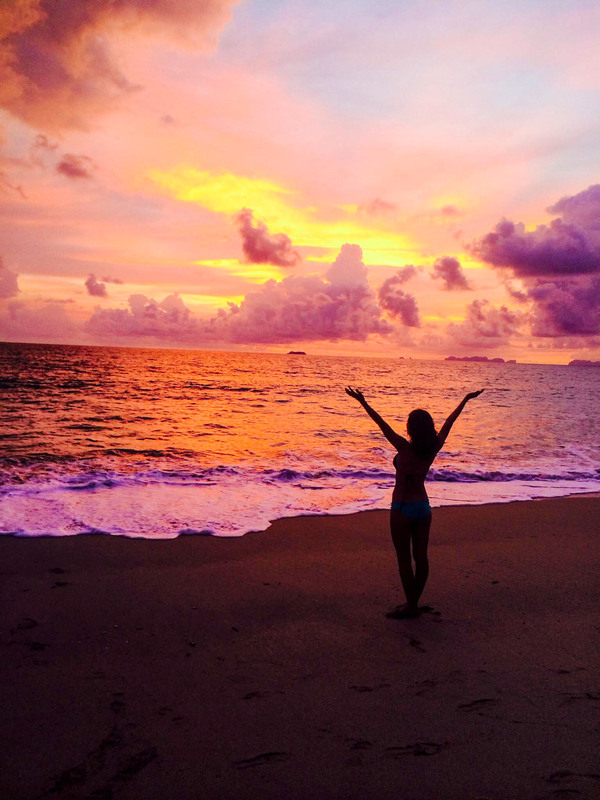 Everything about traveling is not wonderful – the same as everything about staying home! You (and hopefully all of us) developed new perspectives. I have learned also that there is value in spending lots of time in the same area. We have spent 5 months of the last three years in Oaxaca, Mexico and will this year also. We continue to get deeper and more knowledgeable about the people and life there, and how it changes from one year to the next. I also love how Kelsey wrote this post ! Exactly, I love what you said about travelling and staying at home.. I agree. Travelling is not living the dream, it’s about experiencing life in another place, with all the good and the bad things it can entail. Staying longer in one place is great, I think you can experience a new culture. It’s fabulous. In South america, I’ve only visited Ecuador and the Galapagos Islands, but i would love to explore other places. The people are great and so friendly over there. 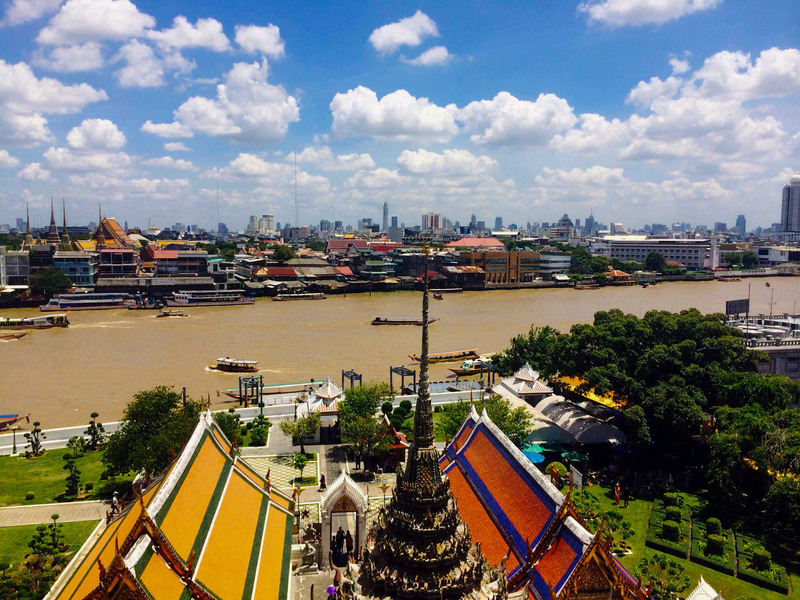 Great post, i’m planning to visit SE Asia in the future so have taken notes! All the credit to Kelsey Reaves (since it’s a guest post), but I agree, it’s an interesting post ! I think it’s nice to have some memories of us in lovely places .. so I understand why people are taking pictures of them in front of beautiful landscapes. I’ve done it so many times, haha ! As a xmas gift, I offered a calendar of pictures of me and my boyfriend in Iceland to my mum and she was delighted. She’s always complaining she doesn’t have any pictures of us 🙂 But, I also agree with you, some people are just exaggerating and are taking 10 000 pictures of them to put on instagram or facebook, and don’t even take pictures of the place they are visiting.. I find that sad. That’s very kind of you to say. I haven’t done any portrait photography as yet. I may get around to it one day. Thank you so much for this lovely guest post. I think South East Asia is the place where reality often doesn’t meet traveler’s expectations, for many reasons, especially regarding authenticity (and also pollution). The most important thing is to adapt, and enjoy yourself no matter what.